It’s not often you come across a power supply with both ultra low noise and high efficiency—you usually have to trade off one for the other. With the new TLB5 series of DC-DC converters, you get both, along with many other compelling features. Let’s take a closer look. Low noise, high efficiency. Polytron, has designed and tested the TLB5 series for extra low noise. 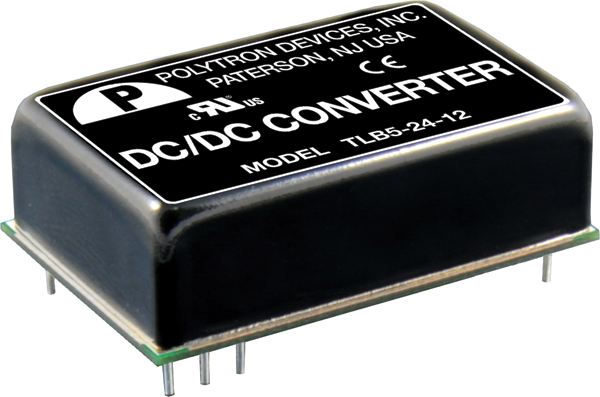 These DC-DC converters have an output ripple and noise of just 10 millivolts, thanks to a built-in EN55022 Class B filter for reducing electromagnetic interference.In addition to the low noise, the TLB5 power supplies are highly efficient. While other models have efficiency rates in the low 80 percent range, this series tops out at 89 percent efficiency. Space-efficient too. There’s another aspect of efficiency worth noting: the TLB5 series saves space in your device. In many 2.5-watt single output applications, it’s common practice to double up a 2.5-watt power supply to meet the power requirements. With the 5-watt series, you can meet the same requirements with one small, compact DIP package of 1.25 x 0.80 x 0.40-inches.